Hello, friends! Welcome to Grace at Home on this first Thursday in June! Isn't that staircase magnificent? Such a beautiful place. Anyway, this week has been a whirlwind for me. I hope it's been a good one for you! Here are some link from last week's party I thought you might enjoy. Lindsey from Repurpose and Upcycle has taken a basic tract house and turned it into a farmhouse-style custom home. 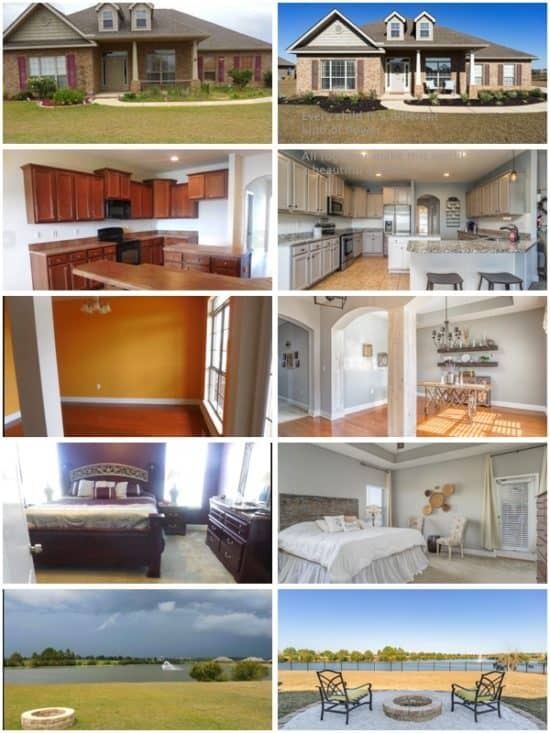 Take a look at all the fun changes she has made! 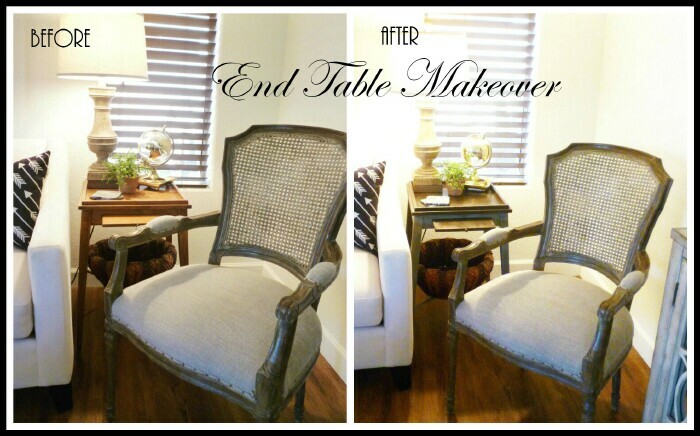 Marty from A Stroll Thru Life made over an end table that was showing its age into a perfect piece for her space--and she shares the process step-by-step, so you can see how to do it yourself. Need to set a special table this summer? 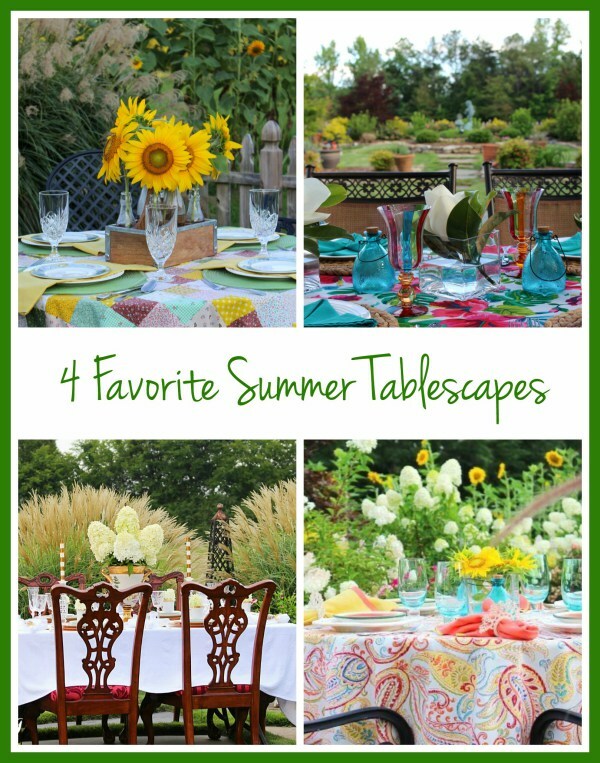 Pam from Everyday Living shared four different summer tablescapes, all of them lovely. 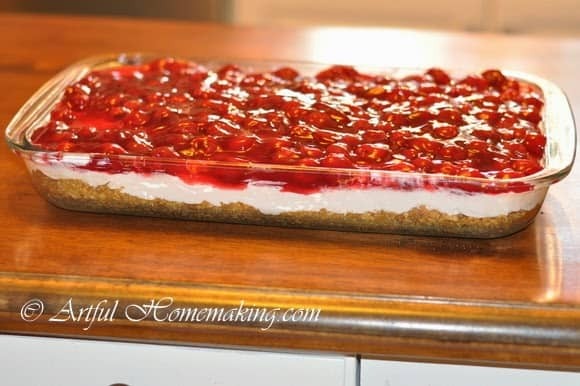 Joy from Artful Homemaking shared a recipe for making a no-bake cherry "cheesecake" that's sure to be a summer winner. 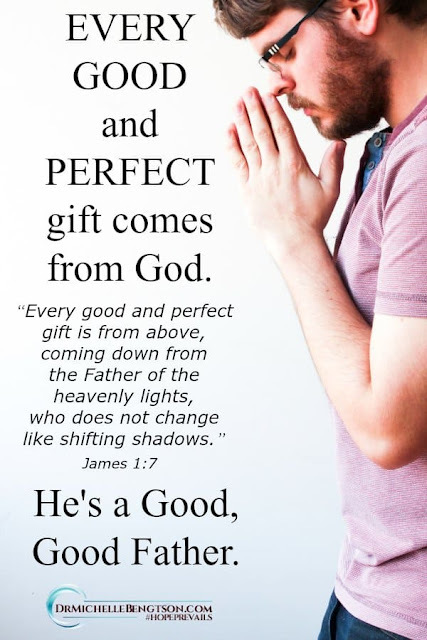 Dr. Michelle Bengtson from Hope Prevails shared some wonderful wisdom about how God wants to give us good things. You'll be glad you read this! Richella, you look stunning in that photo on the staircase. I hope you are framing it. Thanks for hosting and for featuring my 4 tablescapes. Happy Thursday! Hey Richella! 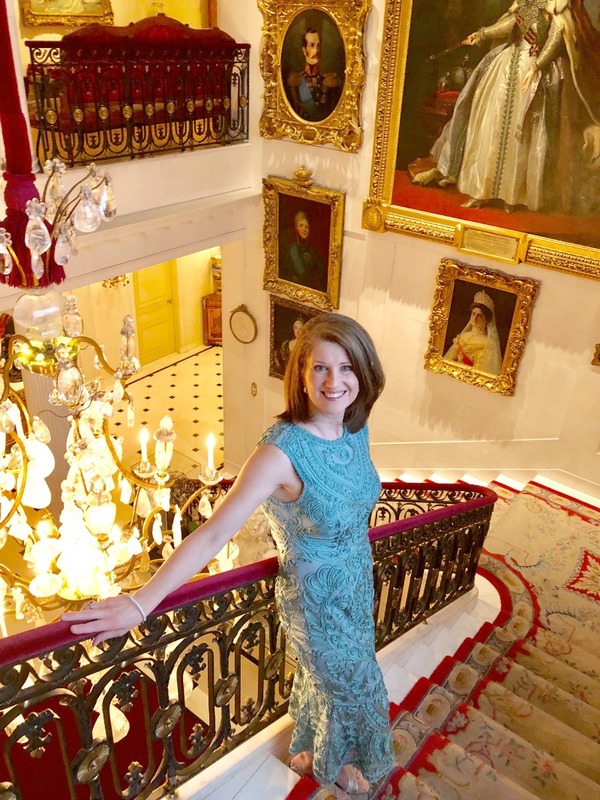 Yes, that staircase is lovely, and you are wotking that dress! You look so elegant. And that no bake cheese cake is going to be a hit with my daughter. Thanks for sharing and hosting. Have a blessed week! I love that picture of you, so beautiful. Thanks also for the fabulous feature, that makes my day. Both you and the staircase look beautiful!!! Thanks so much for hosting such a charming party each week!! Richella, Thanks so much for featuring my no-bake cherry cheesecake recipe! It is a favorite of everyone who tries it. Have a lovely rest of the week! That photo on the staircase is breathtaking! Can you imagine what it must have been like to live in a house like that all the time? Overwhelming! That staircase is drool worthy! WOW!! Richella you are so beautiful you fit perfectly on that stunning staircase ! Thank you for hosting dear. What a magnificent home! I love old buildings and homes. My husband and I especially love visiting those that have been turned into museums. thanks for sharing the photos and for hosting.